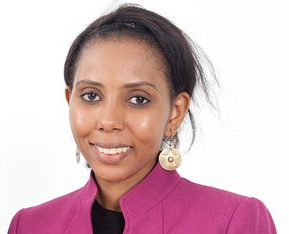 Jaha Dukureh is one of three African figures appearing in the 2016 ranking of most influential people in the world, compiled annually by Time magazine. The 25-year-old activist is recognised for her fight against excision, of which the main victory has been the abolition of the practice in The Gambia, her country of origin. Born in Banjul in 1990, Jaha Dukureh traveled to the United States at 15 years of age for an arranged marriage with a Gambian based in New York. Fleeing from her husband, she moved to Atlanta, where she enrolled in college, remarried, then worked in a bank. Herself circumcised at birth, she decided to embark on a campaign for the abolition of female genital mutilation (FGM) by founding the NGO Safe Hands for Girls in 2013. The following year, she organized the distribution in the United States of an international petition launched in the UK by Fahma Mohamed, a young British activist of Somali origin. Collecting more than 220 000 signatures, the two women gained the support of the British and American governments – following the campaign, the White House decided to commission a study on the prevalence of female circumcision in the United States. At the same time, Jaha Dukureh was directing the first youth movement against FGM in The Gambia. Fortified by her international exposure, she convinced Gambian President Yahya Jammeh to abolish the practice, for which a ban was enacted in November 2015. She is currently continuing the fight in several West African countries, including Sierra Leone, where the circumcision prevalence rate is 88%.